What a great way to end any season. 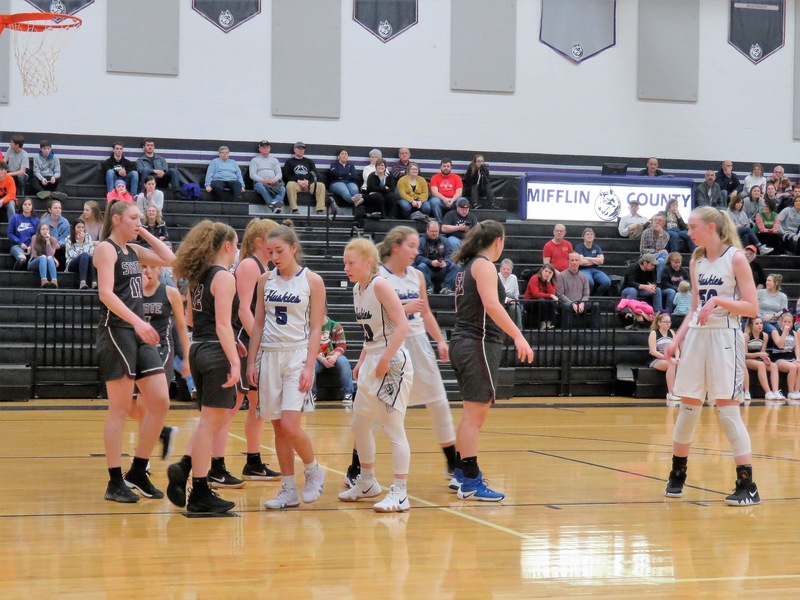 The Mifflin County girls basketball team battled Central Dauphin East in its last game Friday, winning 51-48. Molly Wagoner led the way offensively for the Lady Huskies with a 15-point effort. Teammate Halle Rittenhouse followed up with 13 in the victory. Arianna Jones-Copney led the Panthers with 11 while teammate Taja Colbert followed up with 10. Central Dauphin East held the upper hand after the first quarter leading 13-11. However, the Lady Huskies would take the lead going into the intermission, posting 17 while holding the Panthers to 10. Going into the intermission, Mifflin County held a 28-23 advantage. In the period, the Huskies got six from Rittenhouse and four from Hannah Aumiller. The Panthers battled back in the third posting a 15-10, tying things going into the final stanza tied at 33. But the night belonged to Mifflin County as they posted a 13-10 stanza to give the “Purple and Black Attack” the victory.